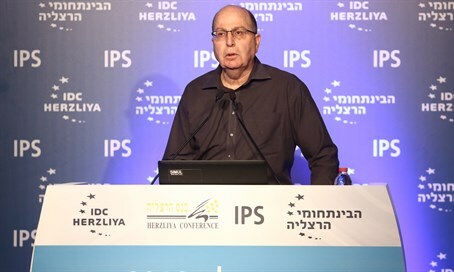 Former defense minister Moshe Ya’alon took advantage of his speech at the Herzliya Conference Thursday afternoon to criticize Prime Minister Binyamin Netanyahu and announce that he intends to replace him. “There is hope, today, in the sane majority, for responsible national leadership. The state of Israel and the citizens of Israel deserve responsible national leadership,” he added.